Stories from the grassroots to challenge and inspire! What is the community kraal? 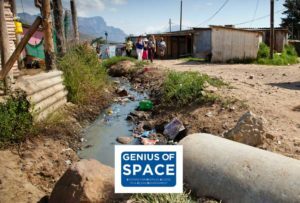 A space where to pose a challenge or share a story of inspiration – linking grassroots’ experience to the adaptation community of practice. We are inviting all conference delegates, speakers and dignitaries to contribute their creativity and thoughts to a joint Adaptation Futures 2018 artwork. Please join South African artist Noah Rudolph in creating a collective message for the next Adaptation Futures conference. You will find this artwork in progress at the community kraal. Where do you find the community kraal? You will find the community kraal at the CTICC on Landing A, on the first floor. 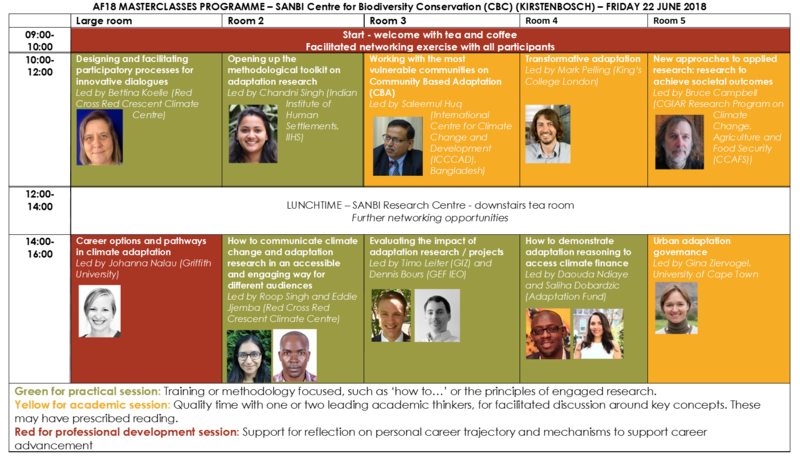 A special venue at the conference will host presentations on novel adaptation tools. These tools can be web based, interactive engagements or a unique adaptation research methodology. See and experience the latest tools in the adaptation field at the ToolShed on Level 1. Bring your laptops, bring your colourful pens, bring a great conversation and an open mind. The room is equipped with limited plug points, flipchart, projector, two LCD screens and space to move. A chance to visit local sites and link them to broader international issues in the company of experienced local and international academics and practitioners. Click on the LearningJourney menu below to find out more information and the related cost of the LearningJourney. This journey takes delegates to the peripheries of urban settlements where vulnerable communities are transforming their adaptive capacity and resilience. Stop 1: Kuyasa Housing project was the first Gold Standard CDM. This project implements low carbon housing for safer, energy efficient homes in vulnerable communities. Stop 2: Khayelitsha Wetland Project showcases a successful community project that has reclaimed a wetland and park area and instilled public activism and agency. This is a Credible Carbon showcase journey to see where your carbon emissions are being offset. This Learning Journey highlights a 21st century development challenge: limited space, increasing urbanization and collaborative development plans. 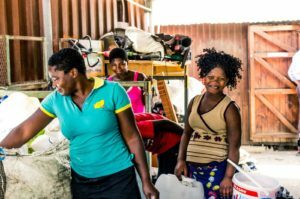 Stop 1: Hout Bay Recycling Co-operative is a social enterprise run by Imizamo Yethu locals whom divert waste from landfill sites by recycling waste in an area with poor service delivery. Stop 2: a drive-by and walk onto a dune system that is being developed on at a rapid rate, despite the vulnerability of the dune system as well as the implications of developing on shifting landscapes. 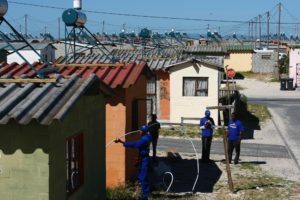 Delegates will see a derelict club house engulfed by beach sand and continual urban development in the Hout Bay vicinity. Evidence of intensified extreme weather is visible on the West coast, north of Cape Town were urbanization meets the sea. 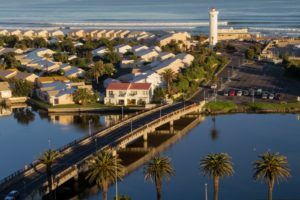 Beaches and beach front infrastructure in Big Bay have been damaged in winter storms and the City of Cape Town is tasked to implement adaptation response plans to increase the areas resilience. Woodbridge Island, a heavy populated and affluent residential and recreational area faces sea level rise. This journey will highlight the visual impacts of climate change in the area as well as show case response systems. Collaboration is integral for effective adaptation and this journey draws on the incredible links that have been created between civil society, poor communities, academia and the local government to ensure healthy fresh water supply for poor communities while simultaneously conserving fragile ecosystems and creating jobs. This journey is a long drive, but promises spectacular views of the Franschhoek mountains and alarming signs of drought at Cape Town’s major supply dam, Theewaterskloof Dam. Learning Journey 6: Adaptation for Food Security: Climate smart agriculture at Langgewens Research Farm. The Western Cape Department of Agriculture strives to build on the Western Cape Climate Change Response Strategy (WCCCRS 2014) by addressing the vulnerabilities in the agricultural sector as well as food insecurity through multi-stakeholder engagements, robust frameworks and Conservation Agriculture. For this reason a climate change framework and implementation plan, called SmartAgri, was completed by the Department in 2016 and is a road-map to make the agricultural sector more climate resilient and advocate climate smart production and processing practices. This Learning Journey takes delegates to the roots of Conservation Agriculture (CA) in the Western Cape. CA was identified as Priority Project #1 in the SmartAgri plan. 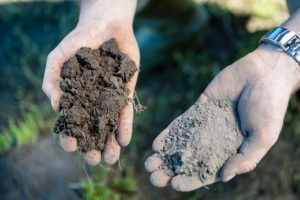 Delegates will venture to the Langgewens Research Farm outside of Cape Town city and hear from farmers, government officials and researchers about how climate smart project implementation is translating successfully on the ground. The drive is long but the engagements are necessary. 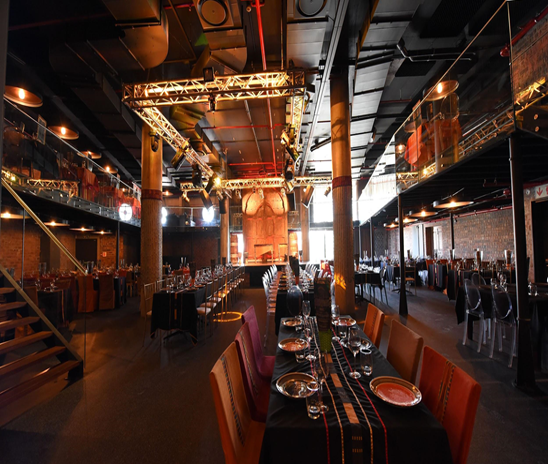 Delegates will enjoy an authentic South African ‘braai’ for lunch. Biodiversity suffers the impacts of accelerated climate change, without the ability or time to adapt. This learning journey allows delegates to interact with South African biodiversity conservationists on the issues of conservation and climate change. 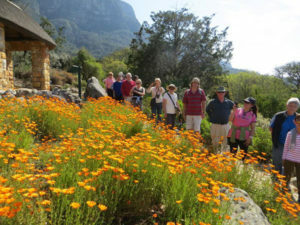 Delegates will have time to visit one of the world’s biodiversity hotspots at the SANBI Kirstenbosch Gardens. Gold will be serving a vegetarian platter with 14 African dishes. The vegetarian Cape Malay and African menu is a taste safari that will transport you from Table Mountain to Timbuktu. This culinary experience is accompanied by unique interactive traditional entertainment during your dinner and vibrant African dancing. Let’s make some connections and raise the adaptation vibe! A request for extended abstracts has been sent to all participates whose abstracts were accepted. Those who wish to be part of this process will each be expected to review at least 2 extended abstracts and provide feedback to the authors. Authors will then be asked to submit the accepted abstracts soon after the conference, for publishing before the end of the year. What is an Extended Abstract? Extended Abstracts are short pieces of original work, based on your accepted abstract. An extended abstract is not simply a long abstract. An extended abstract should contain references, comparisons to related work, proofs of key theorems and other details expected in a research paper. An extended abstract is a research paper whose ideas and significance can be understood in less than an hour. Writing an extended abstract can be more demanding than writing a research paper. They are restricted to 1,500 words and 3 figures and/or tables. Your paper should be structured as shown in the following order.